STROFT LS got developed on the basis of a new polyamide-alloy. The tuning focus rested on the goal to achieve a fishing line with a low stretch factor while ensuring the highest breaking strain possible. That is what the abbreviation LS (low stretch) stands for. The diagram Elongation properties shows a elongation at break (100% line load) of approximately 17% for STROFT LS (purple). That is considerably lower than for comparable polyamide (monofilament) lines as well as fluorocarbon. Even for strike elongation (approx. 50% line load), STROFT LS remains with a factor of 9,5% noticeably below other lines. (Only braided lines made of UHMWPE possess a lower elongation factor). With regard to low load elongation (approx. 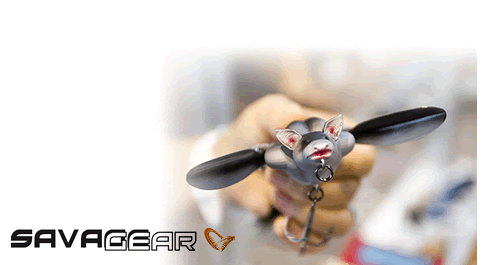 10% line load) LS also scores lower than other monofilament yet somewhat higher than fluorocarbon. The tensile strength values are the highest for any monofilament yet achieved (on average for all diameters between 0,10mm and 0,60mm). That applies to both - tensile strength with and without knots. In the low diameter range the values are quite similar to STROFT GTM. They continue to rise continually for higher diameters . 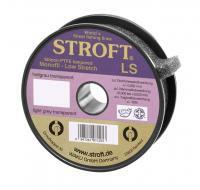 STROFT LS 0,60mm for example has an astonishing breaking strain of 33,0kg ! 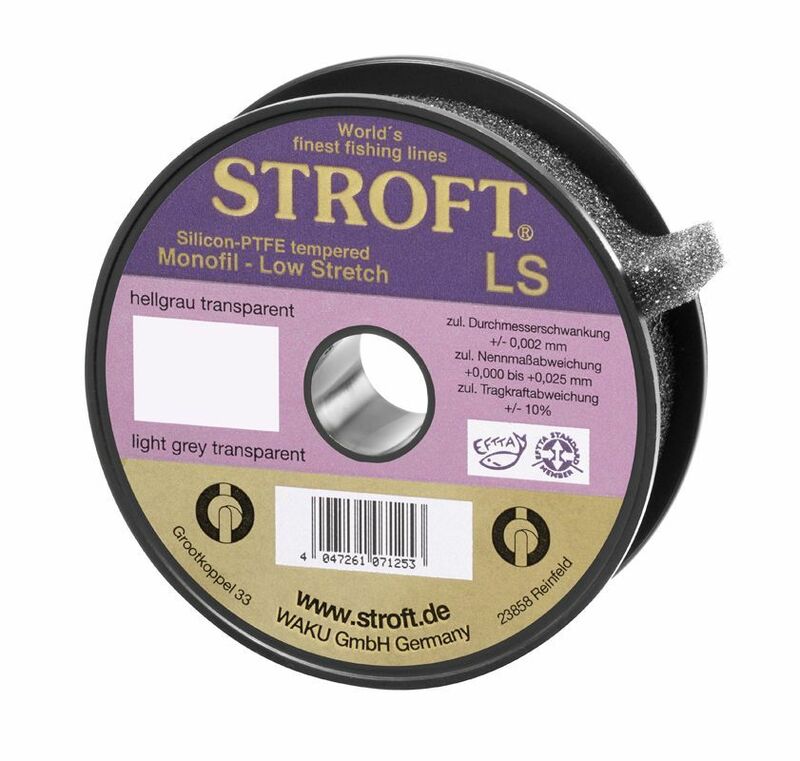 Therefore, if you require a low stretch and maximum breaking strain fishing line and can accept marginally more stiffness of the line, then STROFT LS is your first choice.